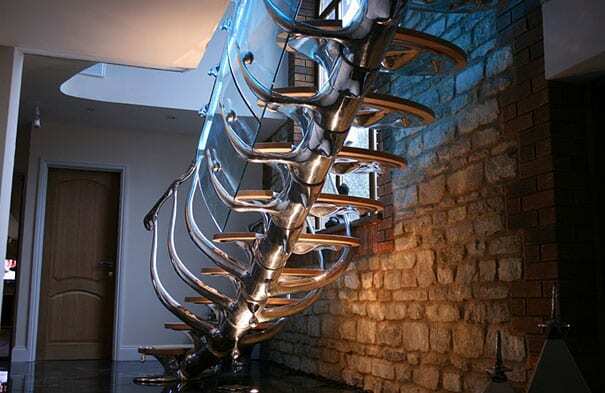 We’ve looked at weird and creative stair designs in the past that have proved how can turn something simple like stairs into something unusual and special. 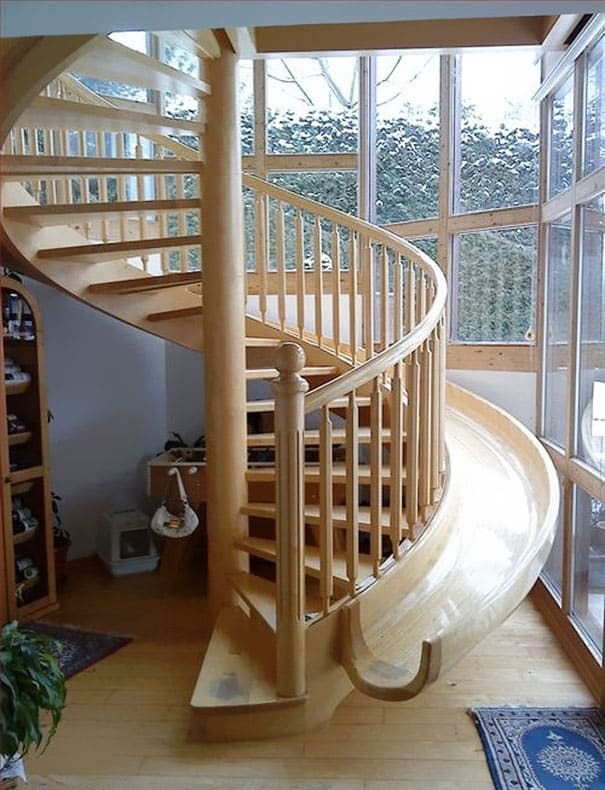 Today we’ll be looking atÂ 28 Creative Ways to Reinvent Your Stairs.You’ll find some of the coolest staircase designs and stair case ideas and concepts sourced from all around the world! 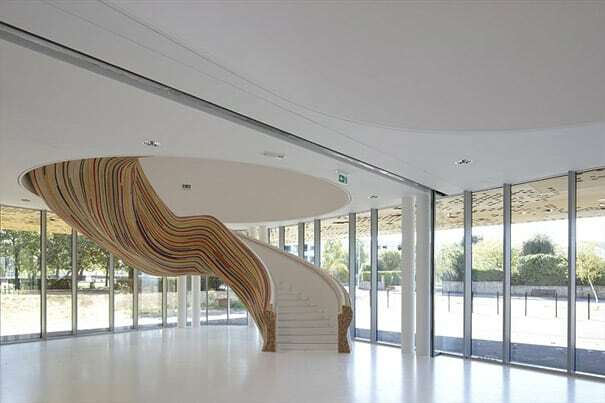 All too often the staircase is considered to be a pivotal aspect of building design. 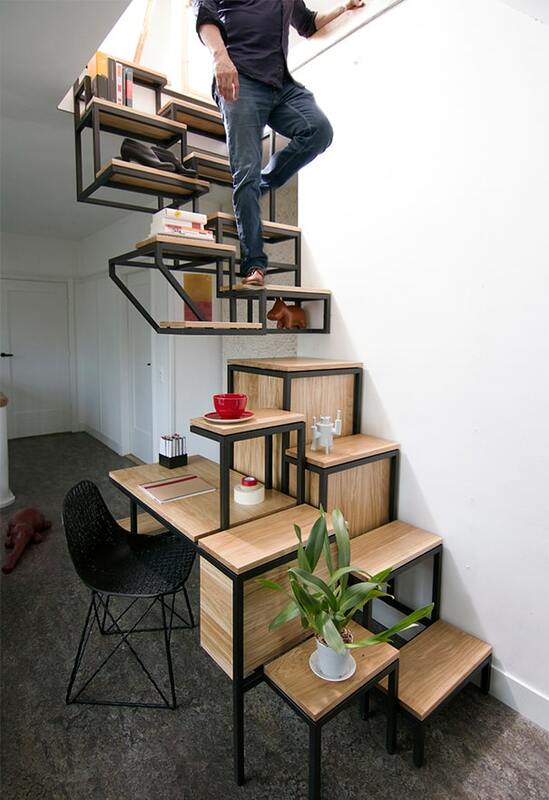 Certainly in the majority of multi floor residences the stairs are the first thing that a visitor will see. 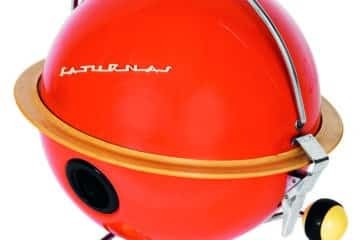 They are essential design components and totally necessary to get around the home. 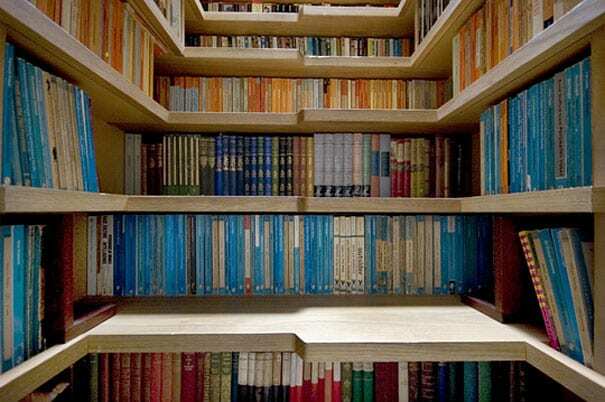 So why are such focal points in the home so often dull and bland in appearance? 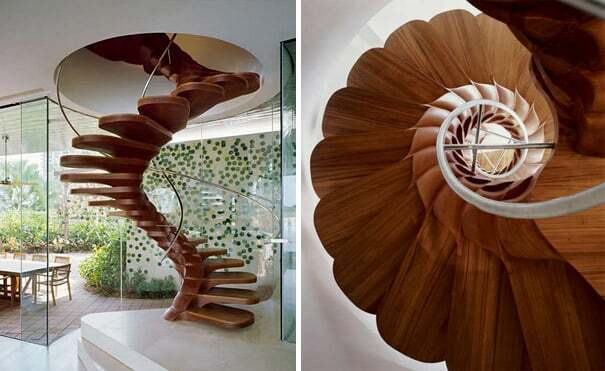 They don’t need to be, here are some amazing staircase designs. 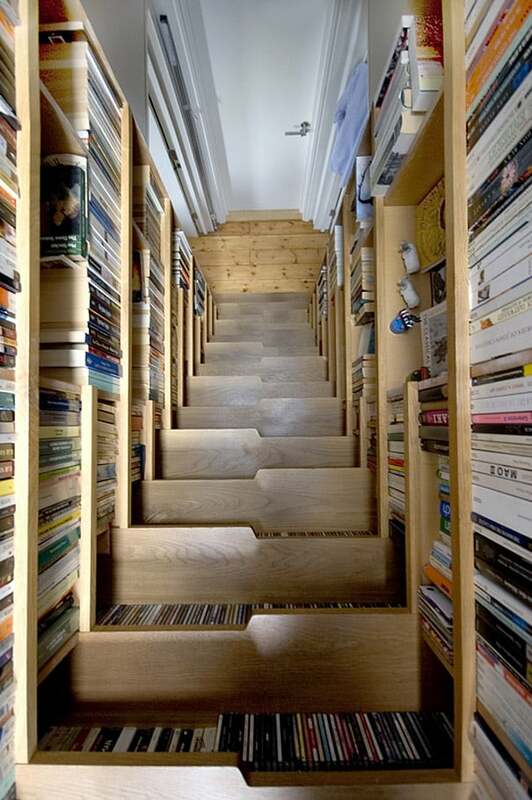 In case you are thinking of reimagining the stairs in your home or business, start right here. 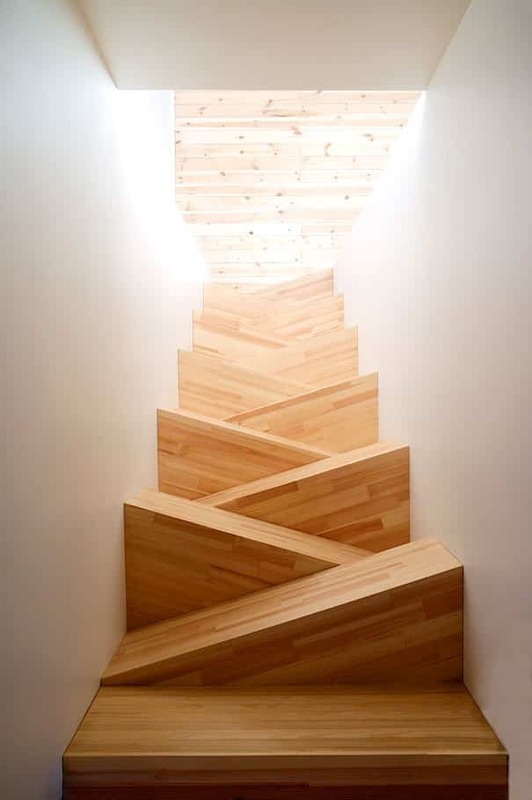 Stairs may be in a straight run, leading from one floor to another without a turn or change in direction. 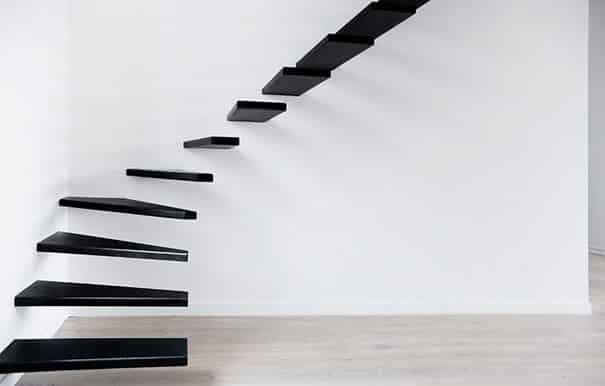 Stairs may change direction, commonly by two straight flights connected at a 90 degree angle landing. 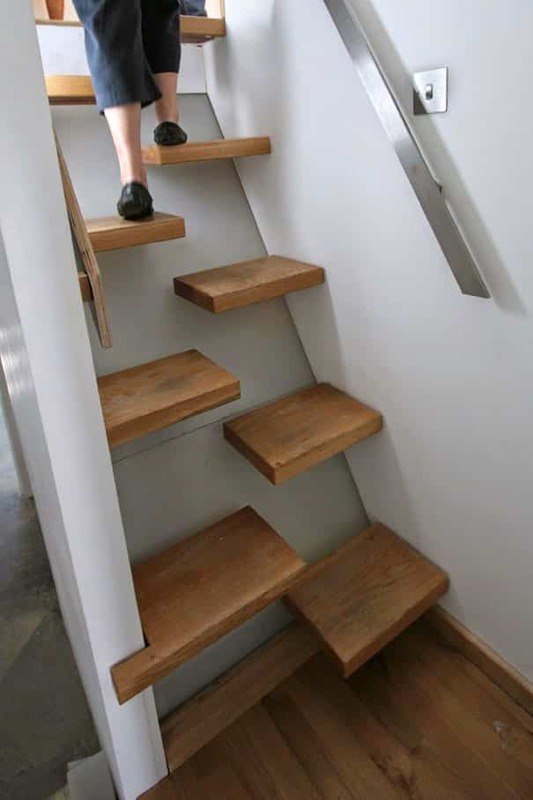 Stairs may also return onto themselves with 180 degree angle landings at each end of straight flights forming a vertical stairway commonly used in multistory and highrise buildings. 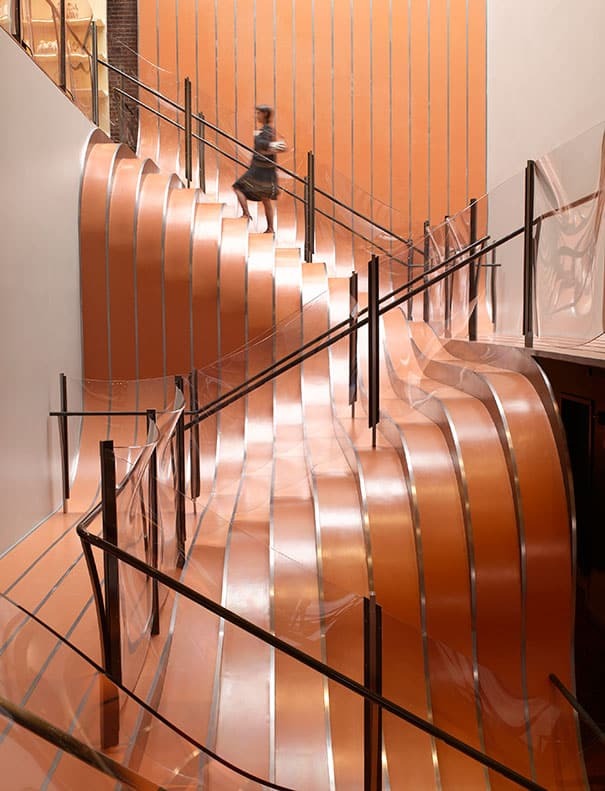 Many variations of geometrical stairs may be formed of circular, elliptical and irregular designed constructions. 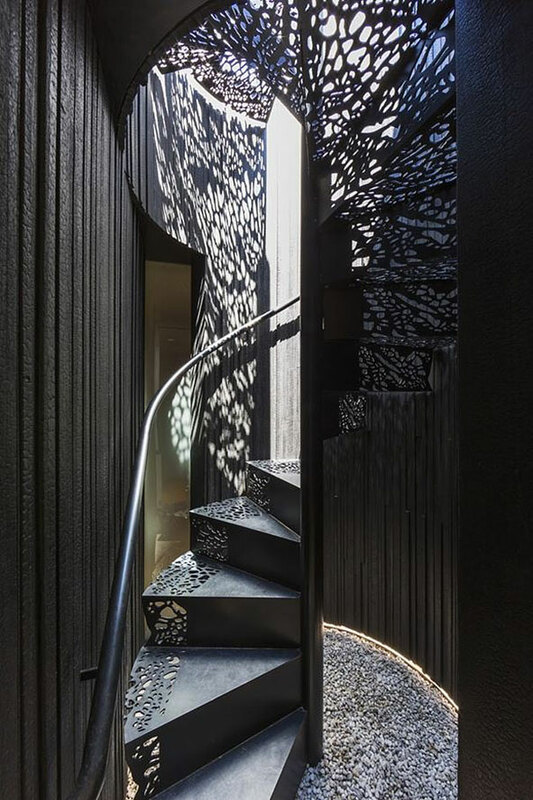 Many creative interior designers and architects would love to reinvent stairs, theseÂ 28 Creative Ways to Reinvent Your Stairs showcase the endless possibilities you can create when you reinvent your home staircase in ways never thought possible. 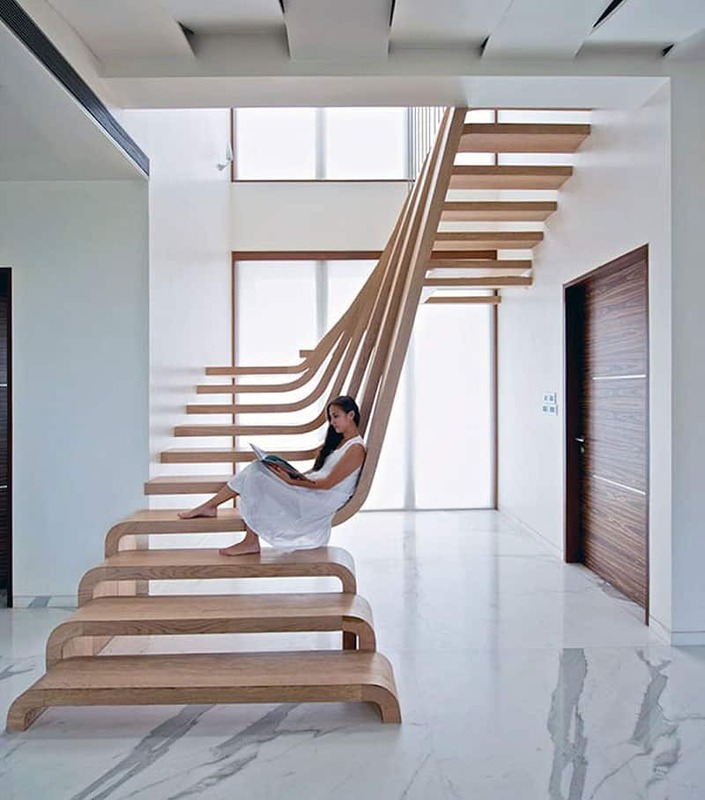 These simplistic but high impact hanging staircase designs are perfect for relaxing and chilling out, never mind running up and down between floors. Why have a garden outside when you can recreate the feel of the outside within. 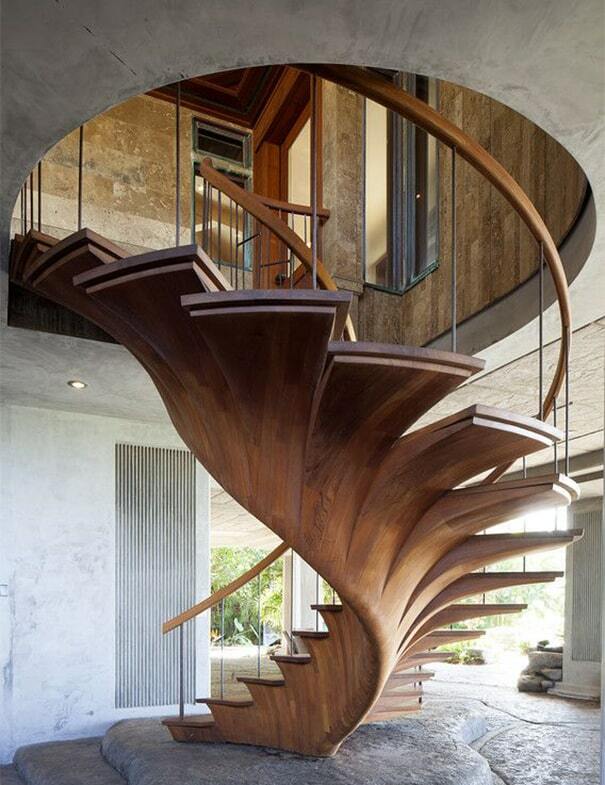 These tree stairs truly are majestic and bring the inner core of this residence to life. 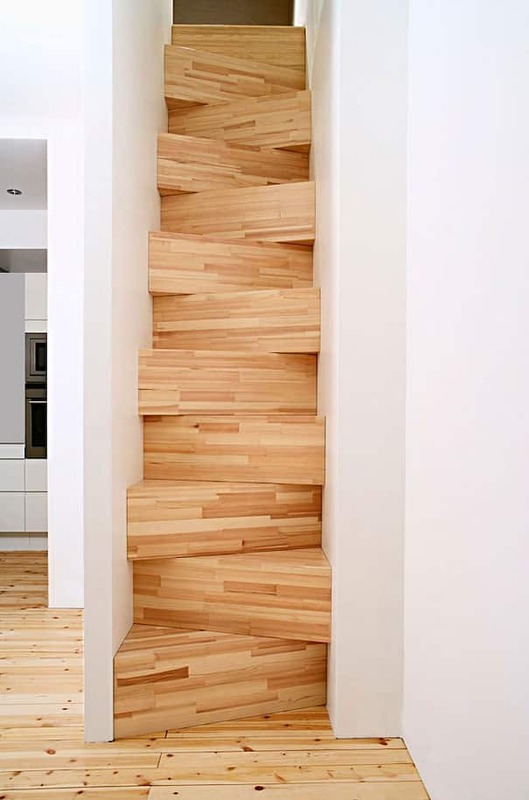 Wooden Tree Stairs : These wooden trunk designs turn the staircase into the focal point of the home. 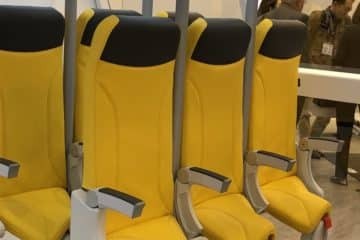 Need extra room? 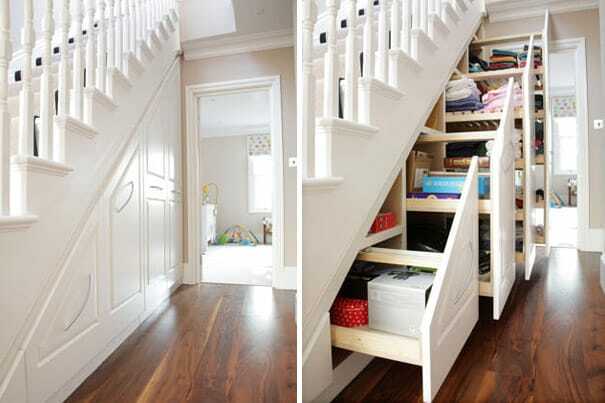 Often the space under the stairs is neglected or underutilized, not any more with this understair space saver design. 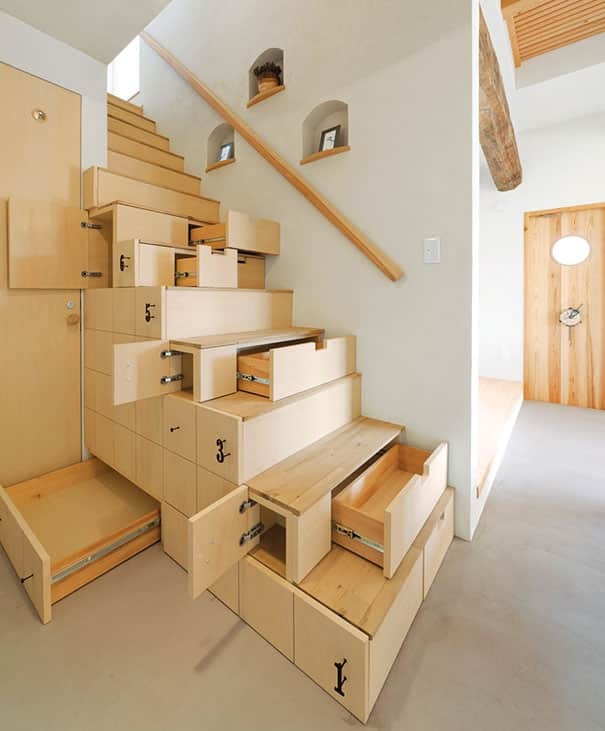 If you have lots of junk and random items to store then this staircase design could be the one that you are looking for. 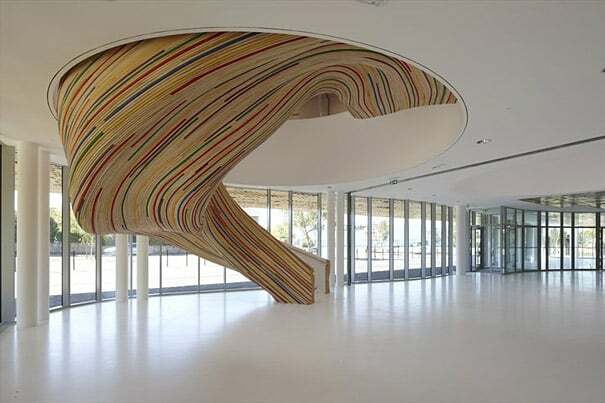 A truly striking tree trunk stripe staircase design that is both central to the residence and high impact. 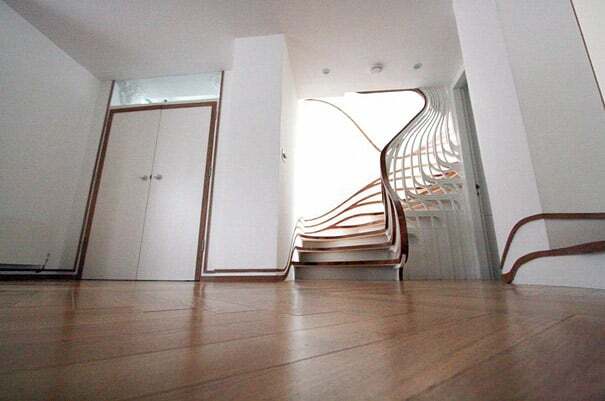 This unique and creative staircase design cannot fail to keep guests talking. 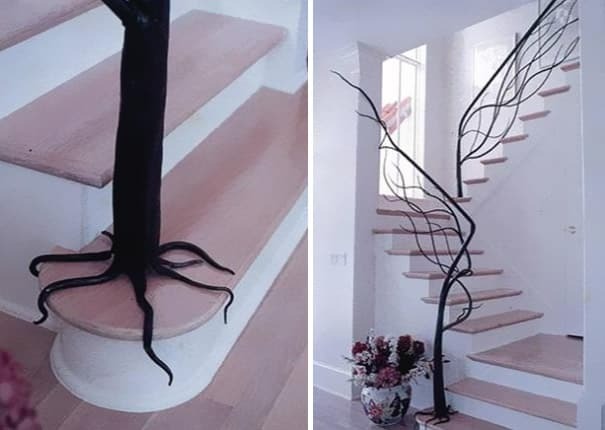 More trees, this time the tree and branches are entwined within the staircase itself. 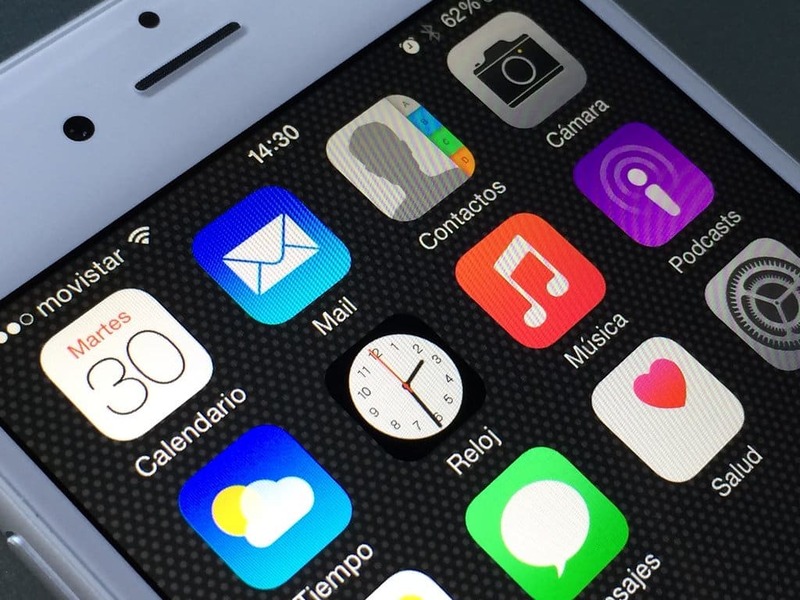 The branches of the tree have become the railings. 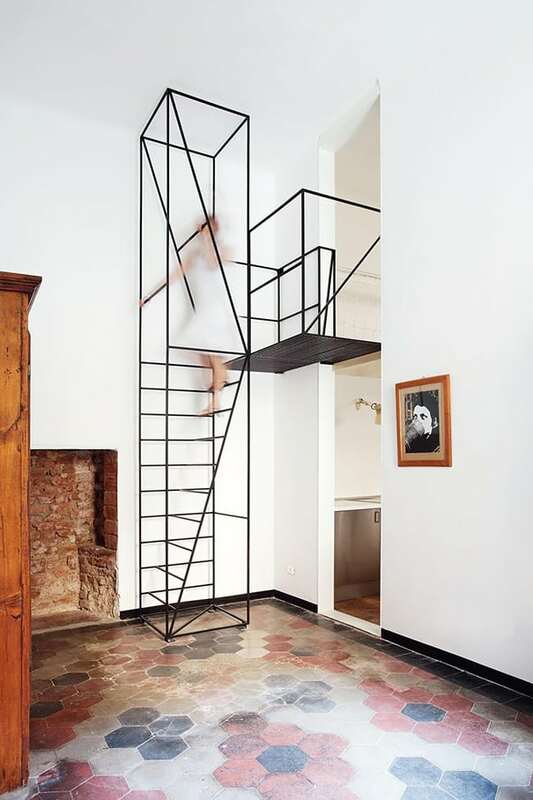 A creative and artsy approach to staircase design that we have not seen before. 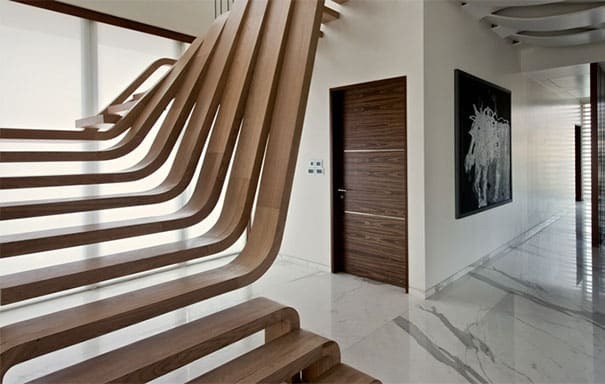 No visitor one could fail to notice a staircase design such as this. 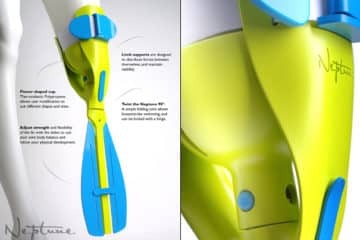 Noticing the design is entirely the point here. 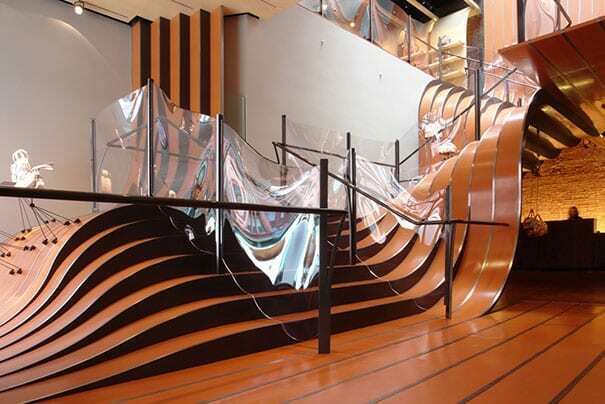 As these vivid colors ensure that the design of these stairs gain maximum attention and exposure. 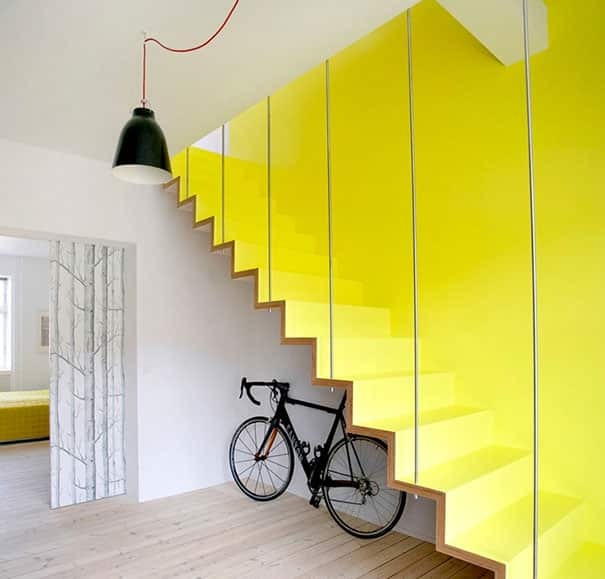 Not for everyone as bright colors and stairs are an acquired taste, one that certainly cannot be missed in this instance. 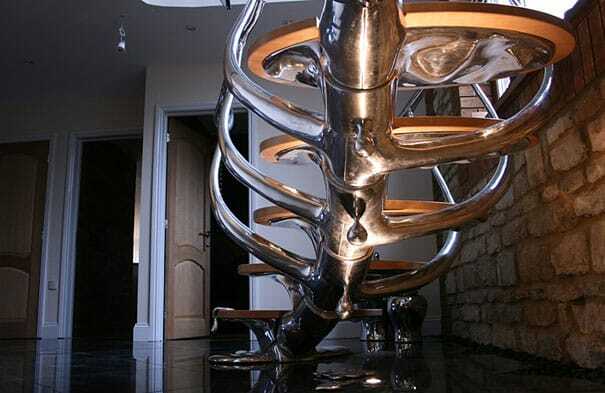 This futuristic metallic looking staircase resembles the spine of some giant creature. 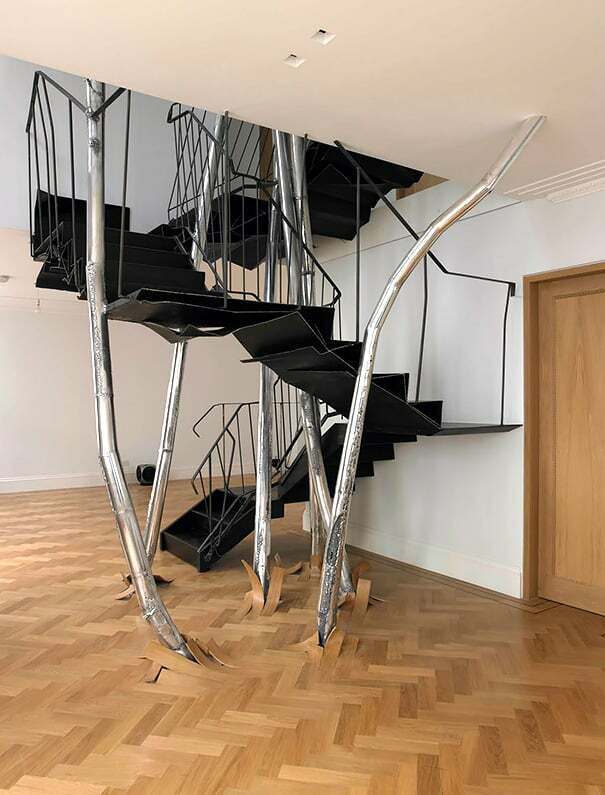 While the wood softens the design somewhat this is most certainly a stand out staircase design that is perfect for fans of sci-fi, wood and metals. 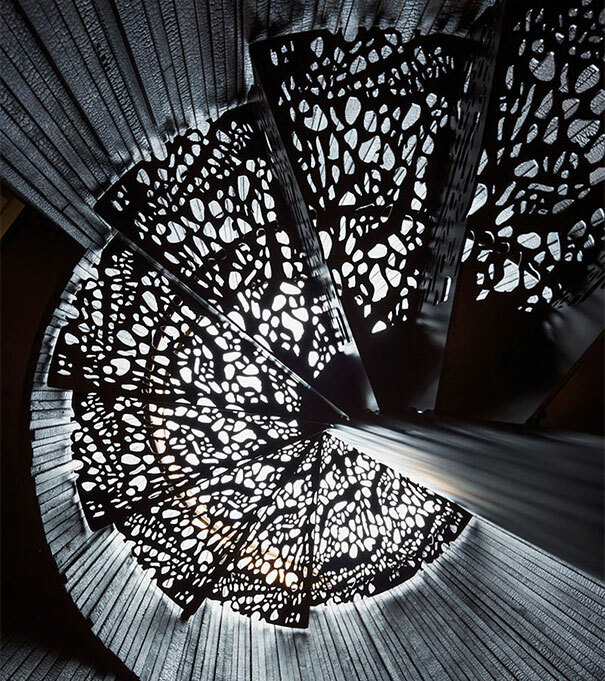 All of these unique and creative staircase designs provide a fresh and innovative way to reimagine a staircase. 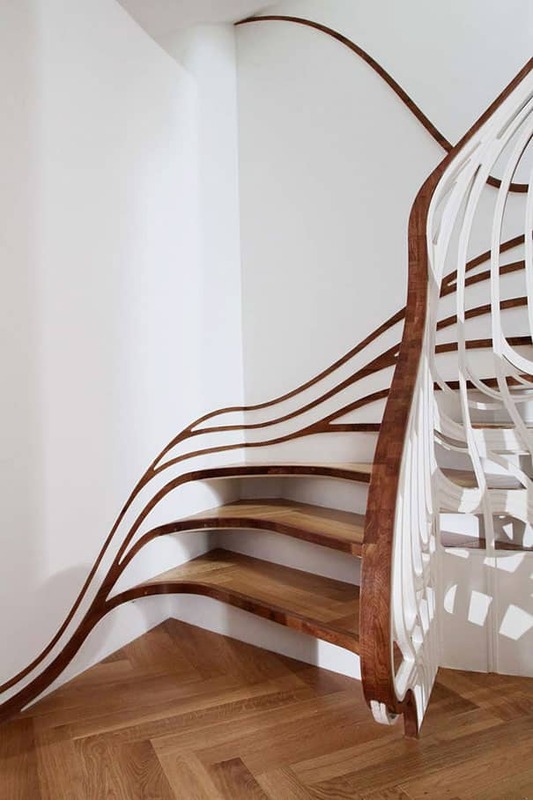 So if your staircase design is looking a little tired consult a creative staircase designer to breathe new life into your home staircase. 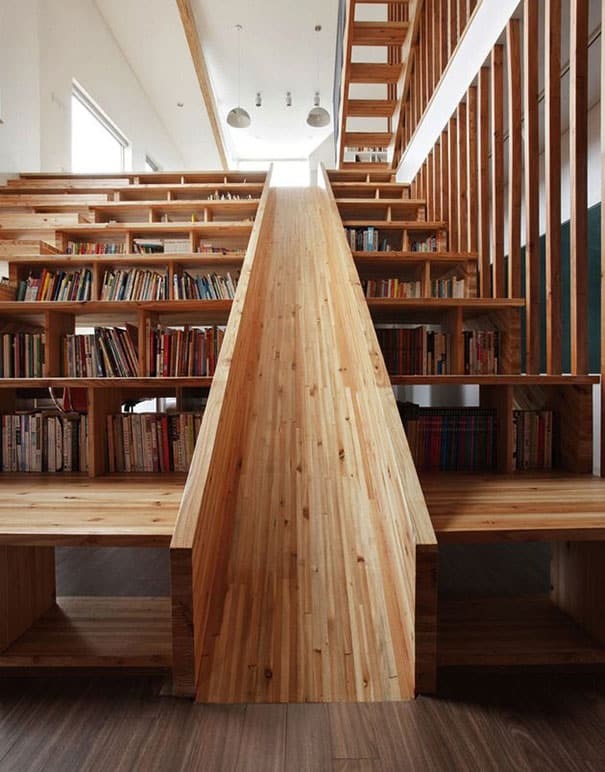 In next to no time you will discover that moving between floors has never been so much fun.